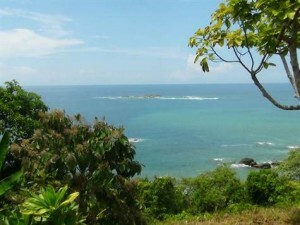 This “Trophy” lot is an opportunity of a lifetime to build Costa Rica’s unparalleled landmark beachfront estate or boutique hotel on the cherished southern Ballena coastline of Costa Rica. This is one of the largest cliff side properties with sunset and white water views from all angles of this front row premium property. Easy access from the highway allows for the ideal luxury rental or hotel concept. Close to many different surfing, walking, beaches and national parks this is a must see. Imagine! Create! The perfect architectural estate property with the sounds of white water crashing on the rocks and views as far as your eyes can see. Inquire now!